For business or pleasure, this high-quality and easy-to-use SXGA , 15.000 -lumen Bright Laser projector Without Lens works equally well at education environments or in the Meeting room . 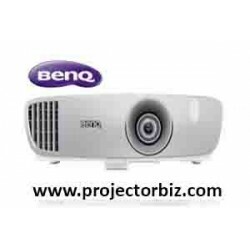 An SXGA, 15.000 Lumens LCD Bright Laser Projector with a vast range of adjustment, and BrightEra for higher quality colour and a longer lifespan and superior images and a long-lasting, low maintenance performance. * Approximate time until brightness decreases 50% from first usage. Measured by acceleration test assuming use of 0.04 - 0.20 mg/m³ of particulate matter. Time varies depending on usage conditions and environments. White light is created through combining the blue and yellow light beams. The advanced optical engine in the EB-L1715SNL precisely adjusts the blue and yellow light to create brilliant white highlights, bringing a refreshing vibrancy to your images. The EB-L1715SNL provides precise brightness adjustment in increments of 1%. This combined with the Constant Brightness mode maintains brightness at a given value to match the venue or subject to deliver astonishing picture quality. The Epson EB-L1715SNL offers an extensive line-up of optional lenses to fit any venue or subject. EB-L1715SNL can be rotated 360° in any direction — horizontally, vertically and rotationally — without any loss in image brightness. 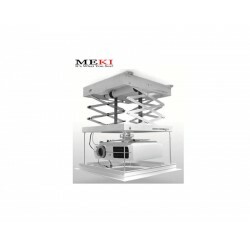 This makes it ideal for a wide range of applications, such as projecting onto ceilings and floors. Offering a variety of functions for multi-projector installations, the EB-L1715SNL lets you adjust brightness, colour and the position of overlapping areas for seamless, beautiful displays. There is also an Auto Scaling function for easy multi-projector displays and an Advanced Edge Blending function for more precise edge-blending adjustment. The Epson EB-L1715SNL is compatible with a wide range of external devices, and additional ports now include DVI-D, HDMI and HDBaseT. Ideal for large venues, HDBaseT can transmit Full HD video, audio and Ethernet at low cost through cat 5e/6 cables up to 100 metres. Now you can send messages or announcements as JPEG files simultaneously to any number of projectors on a network. This makes the EB-L1715SNL projector very useful for immediate communication needs or even emergencies. 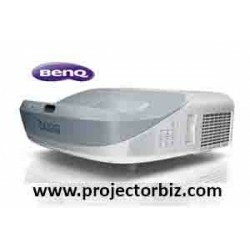 You can buy EPSON EB-L1715SNL online in Malaysia on www.projectorbiz.com, the best price and after sales services.